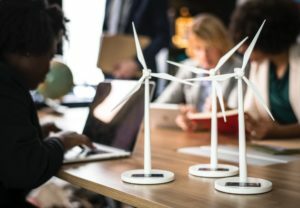 SecondMuse is launching the first program in New York that is dedicated to helping cleantech startups manufacture and get to market. The two-year M-Corps pilot will provide cleantech startups with an embedded manufacturing team, access to critical templates and resources to support manufacturing, supply chain design and management support, engineering mentorship, and cash flow. Applications are open through Oct 8. SecondMuse will host a series of info sessions throughout September and early October. Rochester-based NextCorps is operating a parallel program called Hardware Scaleup. New York State Energy Research Development Authority (NYSERDA) has provided program support, and partners include NYU Tandon’s Urban Future Lab, a hub for smart cities, smart grids and clean energy; PowerBridgeNY, which commercializes scalable cleantech solutions from Columbia University, NYU, CUNY, Cornell Tech, Brookhaven National Lab; Clean Energy Business Incubator Program at Stony Brook University; and New Lab. The initial coalition of advisors includes leadership from Dragon Innovation, Bolt VC, Spero Ventures, Tesla, Pensa, StrongArm Tech, BotFactory and other industry pioneers. Cleantech describes any process, product, or service that reduces harmful environmental impacts through significant energy efficiency improvements, renewable energy, energy storage, transportation, the sustainable use of resources, or environmental protection activities including integrating smart technology into homes, buildings, cities, and grids. M-Corps works in tandem with existing incubators and accelerators across the state to provide a much-needed layer of manufacturing support. While competitive, the program is free and does not take equity. Applications to join the program are open until noon on Oct 8, and startups will be accepted based on their manufacturing-readiness level, team makeup, and the promise of their cleantech products. M-Corps will deliver workshops and resources for the larger cleantech and hardware community to increase capacity to manufacture. SecondMuse will spearhead M-Corps downstate alongside with Rochester’s NextCorps business incubator upstate. Over the past five years, SecondMuse has worked with New York City Economic Development Corporation to build the citywide hardware ecosystem. “Manufacturing is essential to hardware startups’ go-to market strategy, we’re thrilled to partner with M-Corps to ensure companies have the dedicated resources they need to navigate this process and build scalable supply chains,” said Shaina Horowitz, New Lab‘s Urban Tech Hub Director. Through Futureworks Incubator and Shops, SecondMuse supported over 100 hardware startups, a dozen prototyping labs and has generated immediate economic returns to a nascent industry. In 2017, Futureworks Incubator companies raised $8.41 million, reinvested $2.28 million back into New York City, and created over 80 new jobs. SecondMuse’s community-driven approach dovetails with M-Corps mission to build a more collaborative economy that meets many stakeholders’ needs. “Manufacturing has always been the cornerstone of the Long Island economy, and by working with SecondMuse we hope to ensure that the alternative energy industry supports and grows the next generation of Long Island based manufacturing companies,” says CEBIP Executive Director David Hamilton.